Some types of wheels have removable spokes that can be replaced individually if they break or bend. These include bicycle and wheelchair wheels. 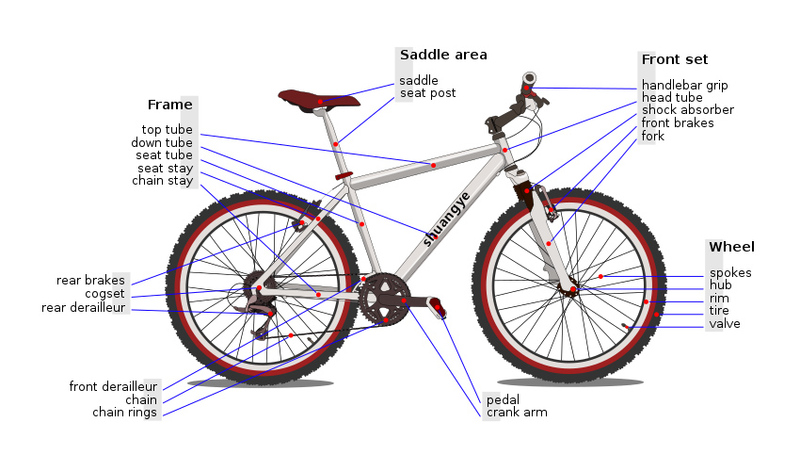 High quality bicycles with conventional wheels use spokes ofstainless steel, while cheaper bicycles may usegalvanized(also called “rustless”) orchrome platedspokes. While a good quality spoke is capable of supporting about 225kgf(c. 500pounds-forceor 2,200newtons) of tension, they are used at a fraction of this load to avoid suffering fatigue failures. Since bicycle and wheelchair wheel spokes are only in tension, flexible and strong materials such as synthetic fibers, are also occasionally used.Metal spokes can also be ovalized or bladed to reduce aerodynamic drag, and butted (double or even triple) to reduce weight while maintaining strength.